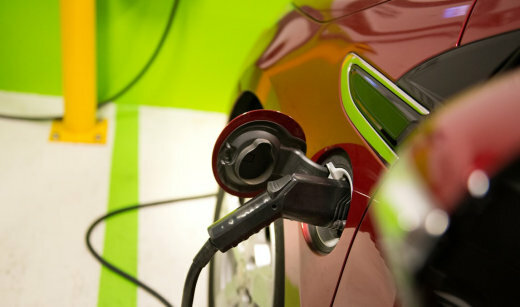 These GIS-based tools can be used to visualize and evaluate existing and planned public direct current fast charging (DCFC) infrastructure along key electric vehicle corridors across the 12-state Transportation Climate Initiative region (Virginia to Maine, including D.C.). The tools allow the user to weight input metrics based on regional- or state-level priorities and generate rankings of key locations that reflect the relative suitability of each location for DCFC infrastructure development. 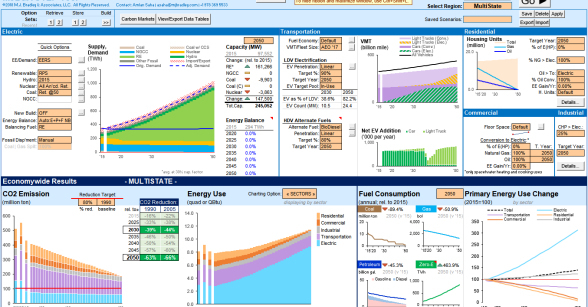 The EV-CB Framework is a spreadsheet-based tool for projecting the societal costs and benefits of electric vehicle penetration scenarios and charging patterns (e.g., off-peak). The framework projects: (1) vehicle purchase, fuel and maintenance costs; (2) electric utility rate impacts; (3) electric distribution infrastructure costs; and (4) greenhouse gas emissions. The framework has been used to support both state- and utility service territory-level assessments of costs and benefits.